It’s back to school season, and if you aren’t going back to school yourself, chances are you’re a sending someone else off to school or you are a busy twenty- something like myself. Back to school season brings hectic mornings and more often than not the most important meal of the day, breakfast, is skipped. 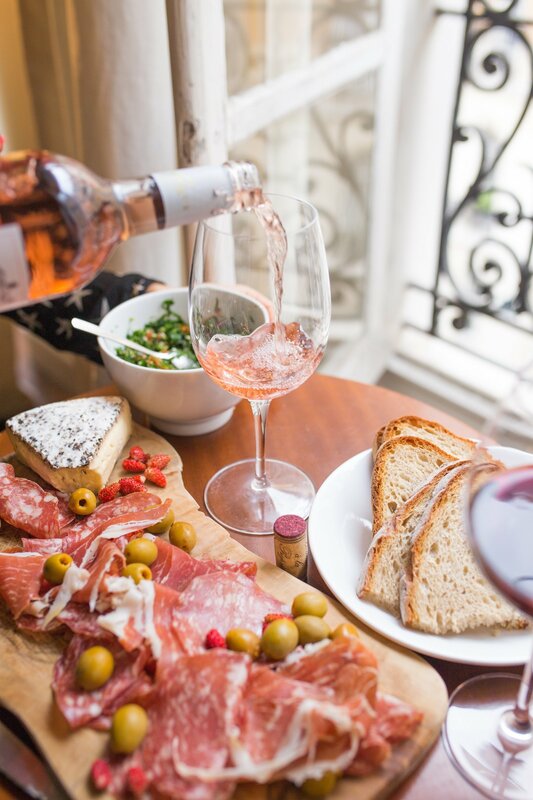 Eating on the go is more common in this day in age, but I’ve found that this causes many people to sacrifice flavor for the sake of time, which I am not a fan of at all! I partnered up with Ohh La La Brands, who makes Brew La La Coffee, to give your mornings that extra bolt of energy you need for a busy day. This New York City-based company has so many different and unusual flavored coffees that are so amazing; I had a hard time not drinking the entire pot. 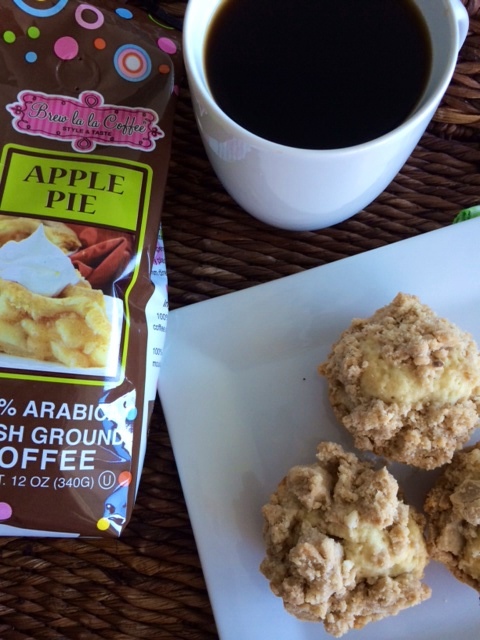 With Fall just around the corner, I’ve had everything apple on my mind lately and when I saw Brew La La Coffee made an Apple Pie-flavored coffee I knew I had to try it. Pair this cinnamon spiced coffee with a Coffee Cake Muffin for a breakfast that you can take on the go and that doesn’t sacrifice flavor. 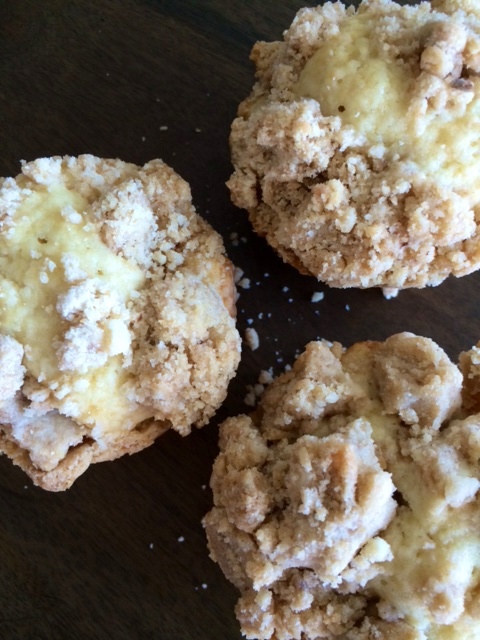 Everyone agrees, that the best part of coffee cake is the cinnamon crumb topping, and these muffins don’t disappoint. This is a 50/50 ratio, which I think is totally necessary when making coffee cake, whether it be in a cake pan or muffin tin. Bake the muffins over the weekend when you aren’t crunched for time, and put them in the freezer to take out when needed. This way, a delicious breakfast is just a few steps to the freezer. 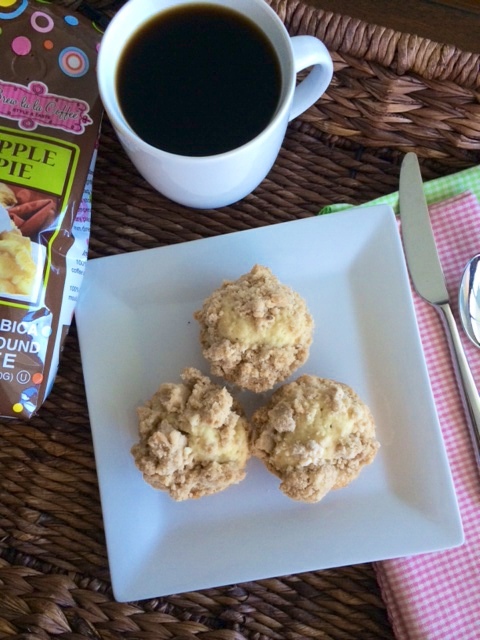 Your busy mornings just got a lot sweeter, thanks to Brew La La Coffee and Coffee Cake Muffins! 1. Preheat oven to 325 degrees. Spray a muffin tin with cooking spray. 2. To prepare the crumb topping: In a bowl, mix together sugars, cinnamon, and salt. Pour the butter over top and, mix until incorporated. Slowly mix in flour. You should have a crumbly mixture. 3. In a separate bowl, mix flour, sugar, baking soda, cinnamon and salt until combined. Mix with an electric mixer at low speed. Slowly add butter and mix until incorporated completely. 4. Add the egg, egg yolk, vanilla extract and sour cream. Mix until batter is light and fluffy. 5. Place about two tablespoons of batter into the prepared muffin cups. Once muffin cups are filled, sprinkle the crumb topping on top, do not press into batter. 7. Let muffins cool slightly before moving them to a wire rack to cool completely.